Dempster’s Quality Car Care offers top-notch brake repair and service on all vehicle makes and models. Our team of experienced ASE-certified technicians uses only state-of-the-art diagnostic equipment to ensure that your vehicle's brake system will be serviced and cared for accordingly. We at Dempster’s Quality Car Care invite you to visit our auto repair shop for a free brake fluid and brake system inspection so that you can be undisturbed about your vehicle' condition if you decide to go on a long trip across the country. Dempster’s Quality Car Care team of experienced and skillful technicians will inspect all major components of your vehicle’s brake system, including calipers, pads and shoes, hardware, and rotors, and they will tell you what type of services have to be performed. Additionally, we always provide clients with a written estimate of all the repairs and services that need to be performed. After you read it and approve it, only then we start doing any type of work on your vehicle. Give us a call at (215) 791-8210 or check online to schedule an appointment. Or visit us directly at our shop 16 E. Montgomery Ave, Hatboro, PA, 19040. Do you trust your car’s brakes? If you have any doubts regarding the current condition of your brakes, it’s best to call or pay a visit to Dempster’s Quality Car Care auto repair shop. 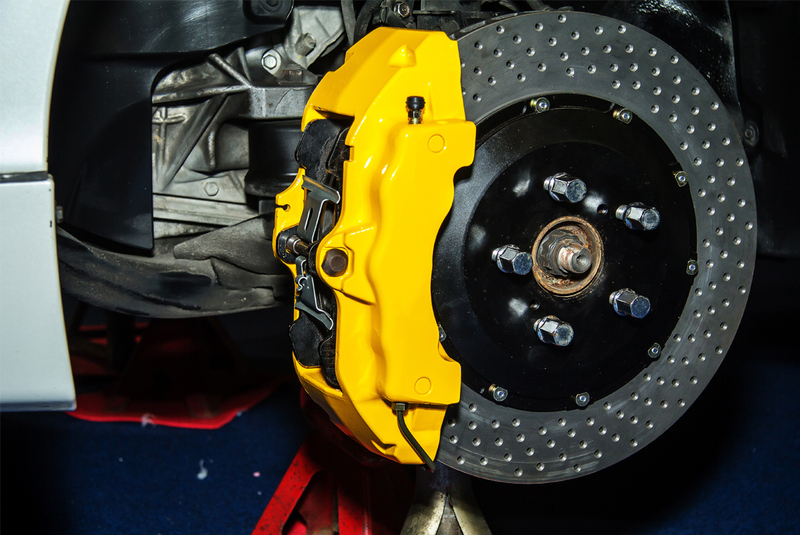 The common symptoms of the faulty brake system include a feeling that brake pulls when you push the pedal, a pulsing sensation in the brake pedal, a grinding sound or wheels coated with brake dust. Our auto repair shop specializes in brake repair and service. We at Dempster’s Quality Car Care can diagnose and repair a wide variety of brake problems efficiently and quickly. A lot of automotive experts suggest that you should undergo a brake system inspection at least once a year or every 12,000 miles. Dempster’s Quality Car Care certified mechanics will inspect all of the major components of your vehicle’s brake system, including the drums, pads, rotors, shoes, and linings and give you an evaluation of the current condition of the system. We will recommend replacements or repairs to maintain and improve the performance of your vehicle based on this inspection. When was the last time you had your brake fluid inspected by a professional technician? Let our experienced and skillful technicians inspect your vehicle’s brake fluid before you hit the road so that you will stay safe. We at Dempster’s Quality Car Care will evaluate the current condition of your brake fluid and, if needed, replace the old product with a new one that will not only meet but also surpass the manufacturer’s recommendations, in some cases.